This spectacular and beautiful 160-Acre ranch has year-round highway access off of highway 9 situated between Breckenridge and Canon City 2.4 hours from Denver or Colorado Springs in Trophy GMU 58. The topography is gently sloping and south facing. The land is moderately treed with ponderosa pines and some aspen. The views of the Continental Divide and the Sangre De Christos from the hidden building site are quite stunning. The are no restrictions, covenants and it is Conservation Free. A new owner can take advantage of combining the 4 deeded tracts to take advantage of the Federal and State tax credits. 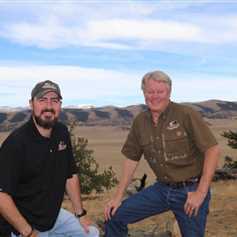 Big Game land owner vouchers are available for the new owner. A short 30-minute drive south land's you on the Arkansas River and 20 minutes north to cast your favorite fly on the South Platte River. Recreational, 160 acre property, Guffey, CO, Park County, bear, mule deer, turkey, ATV trails, public land access, hiking trails, biking trails, bird watching, water rights.